The Root Garden with Observation Doors allows children to observe the living environment from above and below the ground. 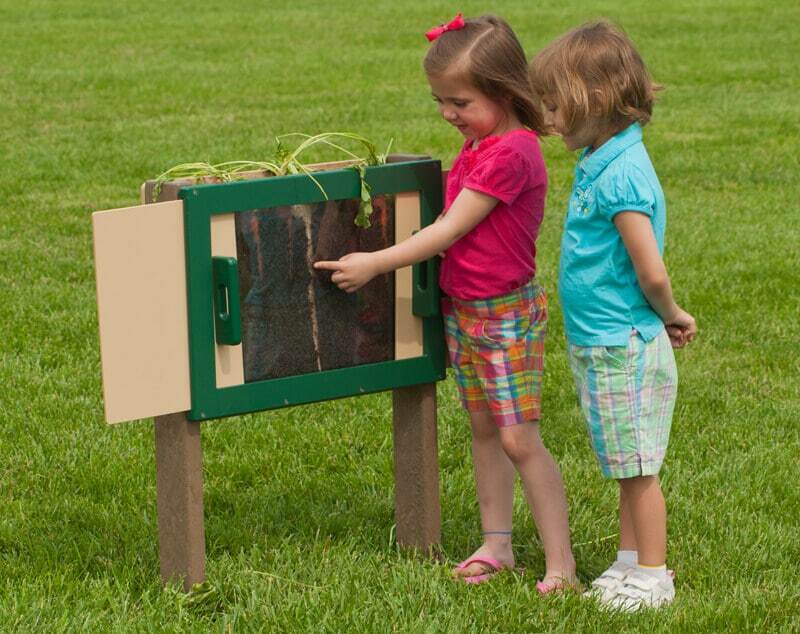 This outdoor play equipment is perfect for your natural playground because children can learn about the growth process as they plant seeds, water, weed and harvest the “crops” in their Root Garden. Periodically, children can open the Observation Doors and study the underground world of the Root Garden. Keeping the Observation Doors closed maintains the dark underground home of roots, worms and insects. Soil and plants are not included.